The First Traffic Police Station of Yadagirigutta Yadadri was inaugurated by Rachakonda Commissioner of Police Mahesh Bhagavath on 3rd April 2018 at Yadagirigutta. 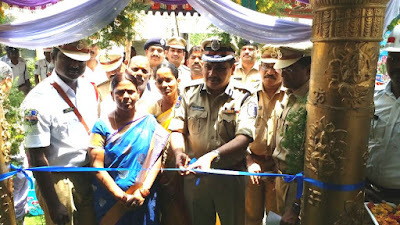 Since the Telangana formation and YTDA establishment lots of development works are going on, in that Traffice police station also one of them. 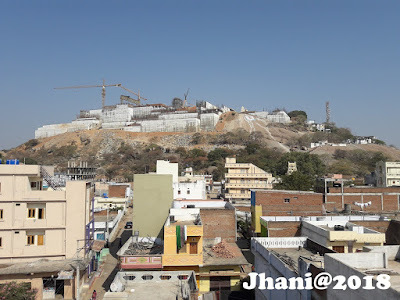 in comming days Police station at Uphill, Police Battalion, Police Staff Quarters are expecting in Yadagirigutta. 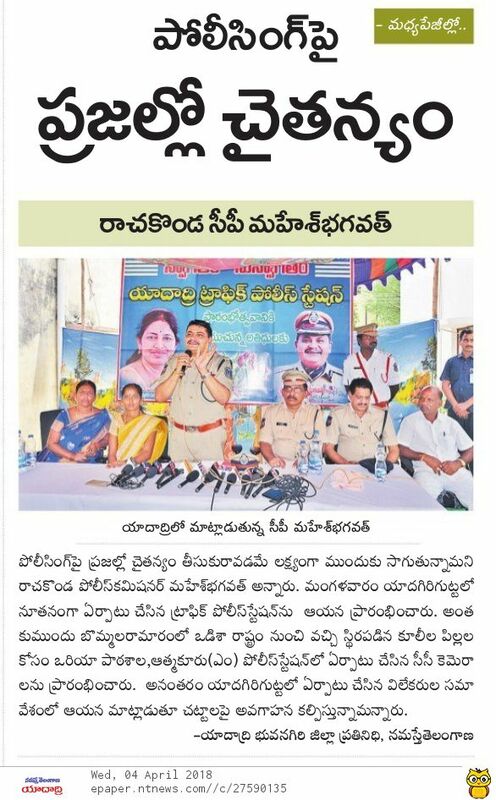 During the Inaugural function, CP Mahesh Bhagavath said, they trying to give awareness to the people regarding the rules, regulations and laws. Also trying to implementing the same daily wise in friendly policing.